The Medico-Pastoral Association and Stage Left Productions present This is their story, a play directed by Vasudev Kanthraj and Nazeef Mohammed on 6th December 2008 at St Francis Xavier’s School Auditorium, Promenade Road, Fraser Town, at 6.30 PM. This play is an original script written by the members of Stage Left Productions. It is written as a response to the growing problem of suicide and self-harm in today’s world, especially since the statistics are alarming and very disturbing. Bengaluru has earned the dubious distinction of being the suicide capital of the country. This play thus essentially deals with different kinds of relationships and looks at how demandin gand stressful they can sometimes become.The play is presented in a 21st century setting – in an era which has defied tradition, gone against culture and broken the stereotype of earlier societies (according to the writers). Stage Left Productions comprises of college students, who have to raise public funds to make this happen. The proceeds of this play will go to SAHAI – 25497777 – a Suicide Prevention Helpline run by the Medico-Pastoral Association. In Bangalore, there is a dedicated suicide helpline that you can call when you’re in distress and find a friendly, helpful voice at the other end that offers you hope, courage and strength. To help you to take that one step backward, turn around and face life square in the face. And that helpline is called SAHAI. 1) Help us financially by sponsoring a portion of the expenses that we’ll be incurring to produce this play. Donor Passes are available for Rs.100 and Rs.200 each. 2) Come with your family / friends / colleagues to watch the play. 3) Spread the word around, by forwarding this mail to as many friends as you possibly can. If you have a loved one, a friend, a colleague at work or a relative who’s going through some form of mental / emotional distress or or you know someone who’s facing an emotional problem, please tell them about the SAHAI Helpline and encourage them to reach out for help. 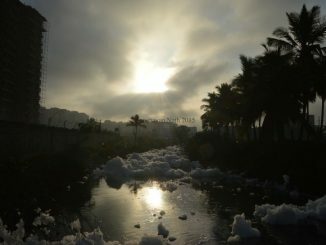 Bellandur lake needs your help! Will you heed its call? It is only a matter of time before Bellandur lake becomes ‘the lake that was’. Restoring Bengaluru’s largest water body is one way to ensure better times for the city in the coming days. 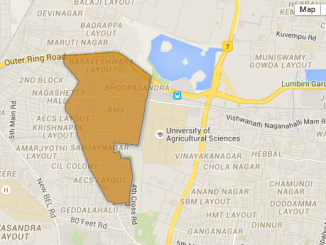 What has happened in Sanjay Nagar ward in the past five years? What are the problems and what has BBMP done to fix them? Who is contesting in the upcoming polls? A bird’s eye view of the South Asian films and two interesting directorial debuts – January was action packed.